NWA Democrat-Gazette/J.T. 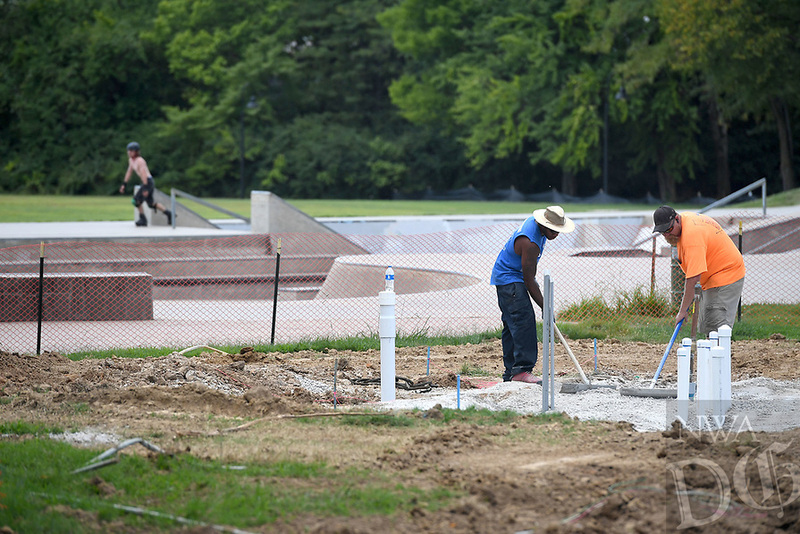 WAMPLER Joshua Kinnard of Ft. Smith (LEFT) and Scott Brown of More OK. work Monday August 6, 2018 at the Splashpad at Walker Park in Fayetteville. The pad is located north of the skate park and west of the playground. The project will also include a new restroom facility.